B.M. Berklee College of Music in Performance. As a teacher I have taught well over 50,000 private lessons to students of all ages. 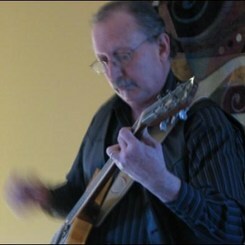 I teach beginning, intermediate, advanced and professional levels in most guitar styles. This includes rock, blues, jazz, country, fingerstyle, and classical. Also, I am on the approved teacher list for Lake Braddock Secondary School. For banjo I teach Scruggs and melodic styles. I am an endorser of Stelling Banjos. Many of my students have gone on to be professional performers and teachers but I also work with students who just want to have fun with their instruments! I am an active performer and have played in the Boston, New York, and Washington D.C. as a solo player with various ensembles. Request Lessons with John Sessums today!